Testimonials – I have been visiting Roatan for about 17 years, and purchased a property (beautiful) about 1997. I have dealt with 4 different realtors and am familiar with most of the brokers on Roatan. There are substantial differences between realtors, and I don’t want to dwell on negatives. Larry Schlesser and his staff are equal to the best Brokers and required standards in the US. I listed my property 4 times and the listing with Remax was painless, and profitable, to say the least. 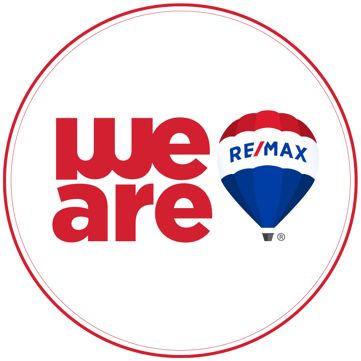 If you are looking, buying or selling, you WILL have problems with anyone other than Remax, as I found with the numerous serious problems with the other Brokers including the original way I held title, as Larry found, and fixed, such that I could sell the property. I highly recommend Larry and his staff even if you are looking for a rental, condo, or purchase. Should anyone wish to contact me direct to discuss my experience, Larry can furnish my phone # and/or e-mail address. It is nice to be able to trust a person on the Island, not that others are crooks, but just not knowledgeable concerning a serious investment with your money. I DON’T WRITE MANY OF THESE, BUT I VOLUNTEERED TO THIS AFTER AN IMPRESSIVE AND SHORT CLOSE.THEY ARE SUCCESSFUL FOR THESE REASONS, AND I HAVE MONEY IN MY POCKET. Please thank your staff and the attorney for their professionalism. Just a quick word about RE/MAX Bay Islands and especially Larry Schlesser. I have dealt with a lot of Realtors/Realestate companies in the past and must say that Larry is the best. They are very knowledgable and not pushy. They make you very comfortable in your Roatan experience. Their best attribute is their customer service skills is they don’t end after the transaction. He has helped me before,during and after the sale and continues to assist and answer any needs I have had about Roatan. I would recomend him to anyone seeking to buy or sell property/investments in Roatan as he has shown me an attention to detail and ethics rarely seen, even in the U.S. THANKS LARRY!